After 100 years of manufacturing high performance magnetic systems for some of the leading names in the industry, Eclipse Magnetics areperfectly placed to provide the ultimate heating system filter. 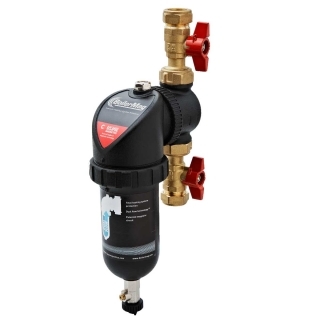 Boilermag incorporates high performance with ease of installation andservicing. Tried and trusted patented magnetic technology ensuresvirtually 100% of ferrous oxide or magnetite is removed from the system premier.